Does Health Insurance Cover Back Surgery? Your spine doctors at the Southeastern Spine Institute (SSI) rely on a host of treatment options and less invasive procedures to treat back pain before resorting to surgery. But if surgery is your last resort, the last thing you need to worry about is how to pay for it. The cost of a typical back surgery can exceed $100,000, according to Modern Healthcare. That’s a huge bill if you had to pay out of pocket. Fortunately, most health insurance policies cover back surgery when it’s medically necessary. Consider not only the surgical costs, but also the medications, magnetic resonance imaging and other tests, rehabilitation and disability. The direct costs are astronomical and can reach as high as $169,000 for a lumbar fusion and up to $112,000 for a cervical fusion. Your SSI doctor recommends back surgery. The billing team at SSI completes the paperwork and submits it to your carrier. You receive pre-approval for the procedure. You undergo the back surgery. The insurance company pays the bill, minus any co-pays and deductibles that are your responsibility. Your policy has restrictions that don’t cover the surgery. The insurance carrier determines the surgery is not medically necessary. You’ve exceeded your annual benefit coverage. The doctor or hospital is out of the carrier’s network. The insurance carrier deems the procedure experimental. The insurance company received incorrect information that is corrected by your doctor. The information the insurance company received was incorrectly coded. Your doctor provides peer review documentation about the appropriateness and effectiveness of the surgery. Your doctor submits additional documentation that proves the medical necessity of the surgery. Your doctor calls the medical director at the insurance company to clarify any misunderstandings. Make sure your address and contact information is updated at SSI and your insurer. Check your policy before you arrive. Tell your SSI team about all your policies, including Medicare, which pays for most medically necessary surgeries, and other supporting insurance plans. Inform your doctor’s office about any lapses in premium coverage you may have. 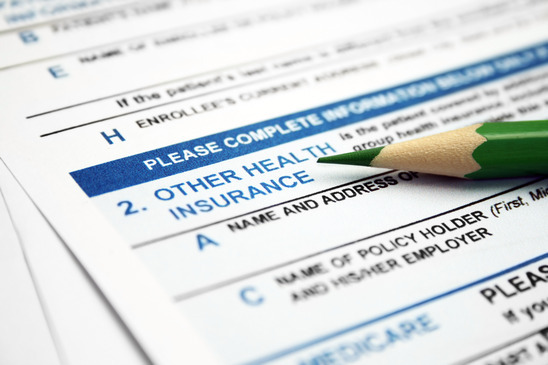 Understand your deductibles and prepare to pay those. Ask for an estimate of costs prior to the surgery so you can prepare for any co-payments. Request information about helpful government agencies if your policy does not cover the necessary back surgery.